Yes, it is possible to make delicious tasting chocolate chip cookies for just under 60 calories! My calculator tells me 59.77 calories per cookie. 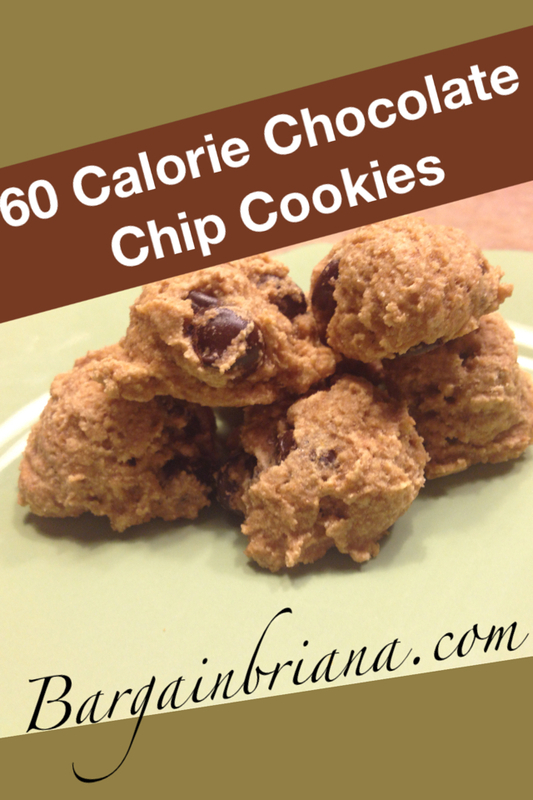 These cookies satisfy your cravings without breaking your calorie bank! My first week on the Shaklee plan, one evening I was craving something sweet soooooo bad. I couldn’t get chocolate and cookies out of my mind. Then I remembered, I had a vegan recipe for cookies somewhere that was low in calories. The recipe called for a few things that I did not have so I substituted with what I had in my pantry. My version worked out well and when I got home from work the next day all the cookies were gone so someone else in the house enjoyed them too! Combine applesauce, sugar, vanilla, and almond milk in a large bowl. In another bowl, combine flour, baking powder, salt, and cornstarch (almond flour). Slowly add the dry ingredients into the large bowl of wet ingredients. Stir until combined. You list flour as the first ingredient to combine in step 3 of the directions but not in the ingredients. Is there supposed to be flour in this recipe (besides the almond flour that you substituted? yes, sorry, I MISSED that in the ingredients! Hi, in the above recipe it calls for flour but it is not listed in the ingredient list. How much flour do you add?